Yesterday a commenter remarked on some similarities between ESPN word-jock Bill Simmons and entertainer Ellen DeGeneres. We conducted a detailed forensic analysis of their faces, and you can see the shocking results in the above video. 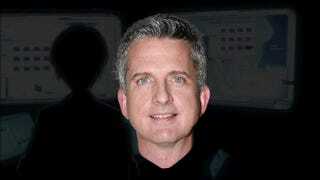 Hey, Did You Know Bill Simmons And Ellen DeGeneres Have The Same Eyes?